Each model also comes with a five year limited warranty on most gearbox components. 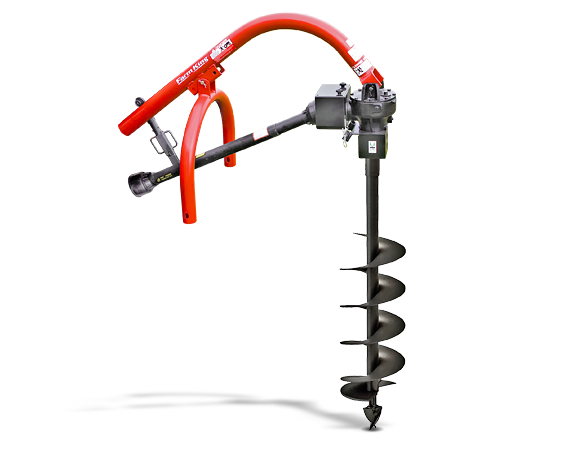 The auger and PTO assembly are held together using heavy-duty tubular steel stock that allows the post hole digger to remain stable under the most grueling conditions. Simply attach the post-hole digger to any three point hitch assembly or skid steer mount, hook up hydraulic lines and the digger is ready for use. Main Frame - 3" 3-1/2" 3-1/2"